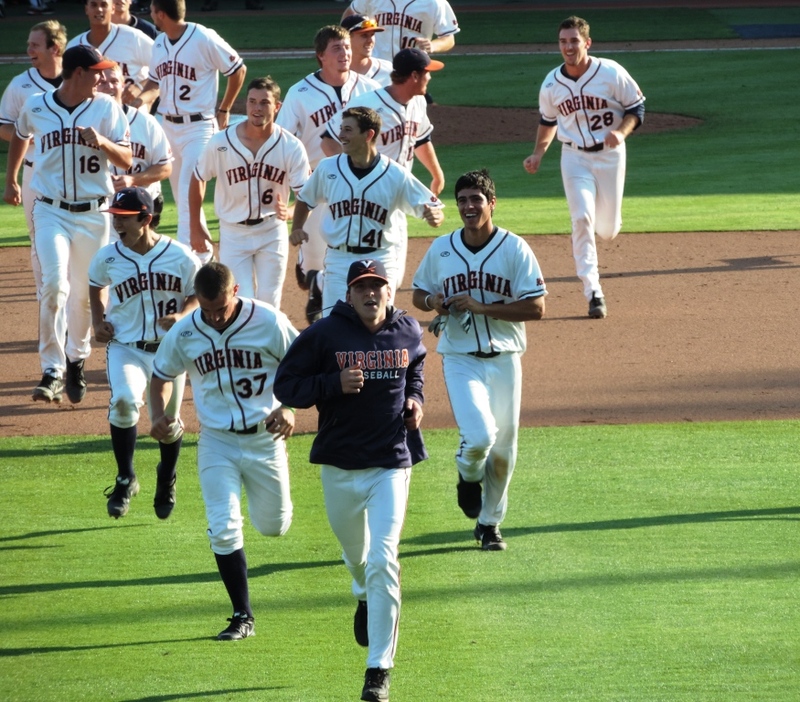 Sure, I know I’m wearing out my welcome, but here’s one last look from our season in Virginia baseball’s blue seats. Last post on this. Promise. If you’re playing catch-up … here’s “Our Season In The Blue Seats” (part 1) and (part 2). I have a college chum who is an accomplished photographer. He tried to help me understand how carefully manipulating the wheels and buttons and levers on my camera can create a beautiful photo. But, I just can’t seem to ever get it right, especially when I’m trying to shoot through — and wash out — the protective netting at a game while actually also watching the game. So, my pictures are frustratingly not right most of the time. Which is ok, because if people like me could take a great photo with ease, all the good photographers in the world would be out of work. Which is to say, I’m keeping all the professional sports photographers in business, which makes me a job creator. You’re welcome. 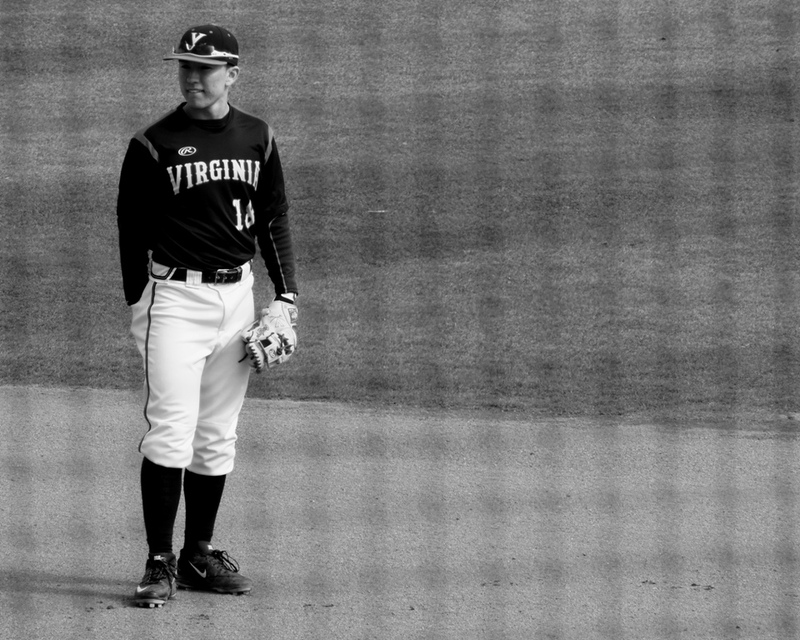 I took a lot of pictures while we watched Virginia baseball from the coveted blue seats this season. A lot. These were all shot through the protective netting. They are my favorites. I’ve been waiting all season to tell you about Teddy Paisley. I’m the person you meet at a party who wants to show you a picture on her phone and then as she’s sweeping through hundreds of them she stops to show you a bunch of unrelated ones that have made her nostalgic (well, as nostalgic as a picture from 2013 can make one). She ultimately forgets the one she was looking for in the first place, which is ok, because one more tiny picture from last summer’s family reunion filled with people you don’t know is going to end the friendship. 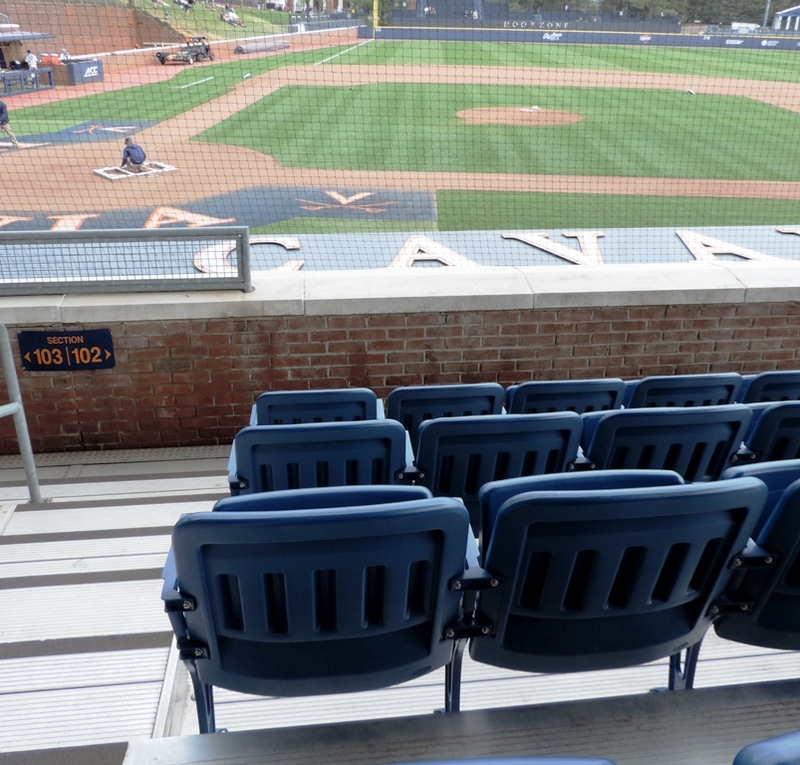 Just a few more pics from our season in baseball’s blue seats at the University of Virginia. I promise it won’t take long. 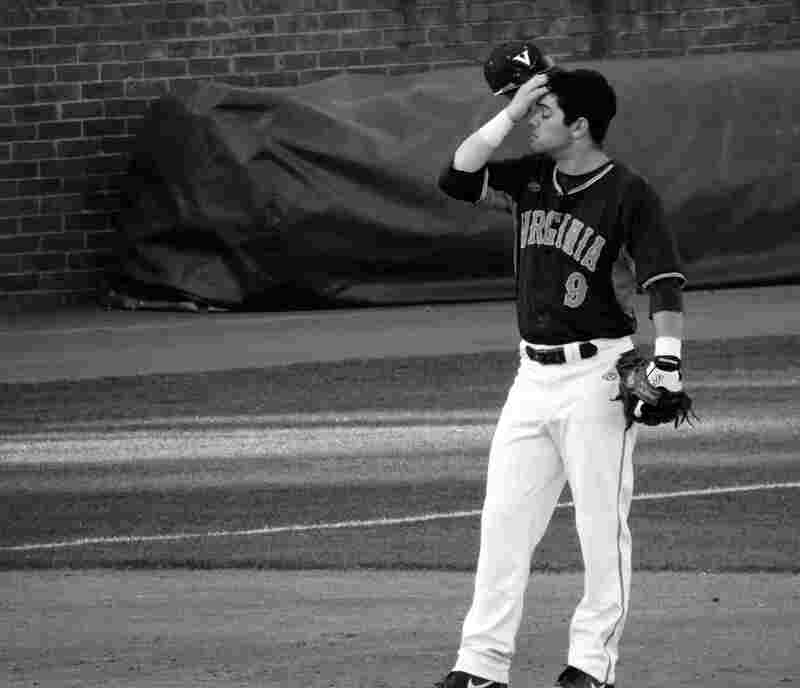 Sure, I missed catcher Caleb Knight’s homerun swing, but I did get Virginia’s celebration in a game versus Pittsburgh. Editor/Husband broke his leg on New Year’s Day. You might think that this was a terrible thing and it was. Not for me, of course, but for him. It was a lousy thing to happen. But, look at the bright side. His bum leg wasn’t ready for steep steps. 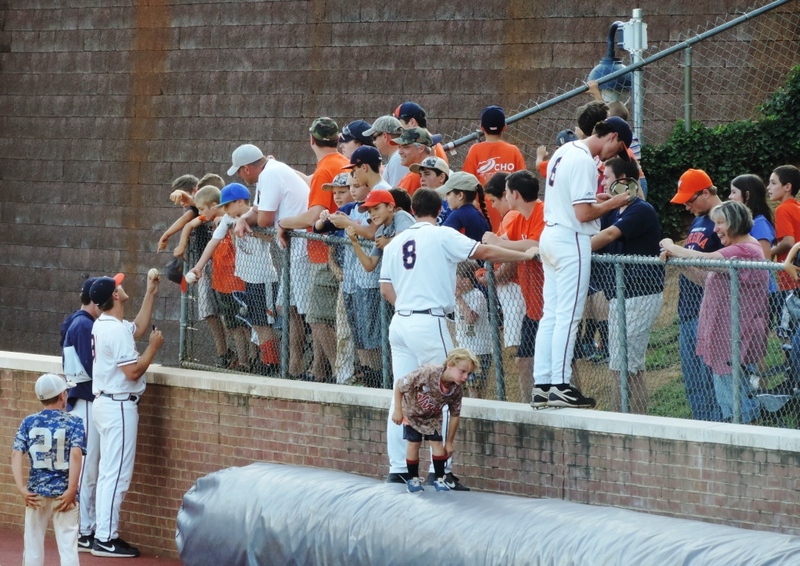 And, our season tickets for University of Virginia baseball are out in the bleachers and up some very steep steps. We had to figure this out. Because I don’t care whose leg is broken, we’re not missing baseball. So before nearly every home game this season I stood in line at the ticket window – sometimes for nearly an hour – in the hopes of upgrading that day’s tickets to closer-in seats that would be an easier commute for Limpy. 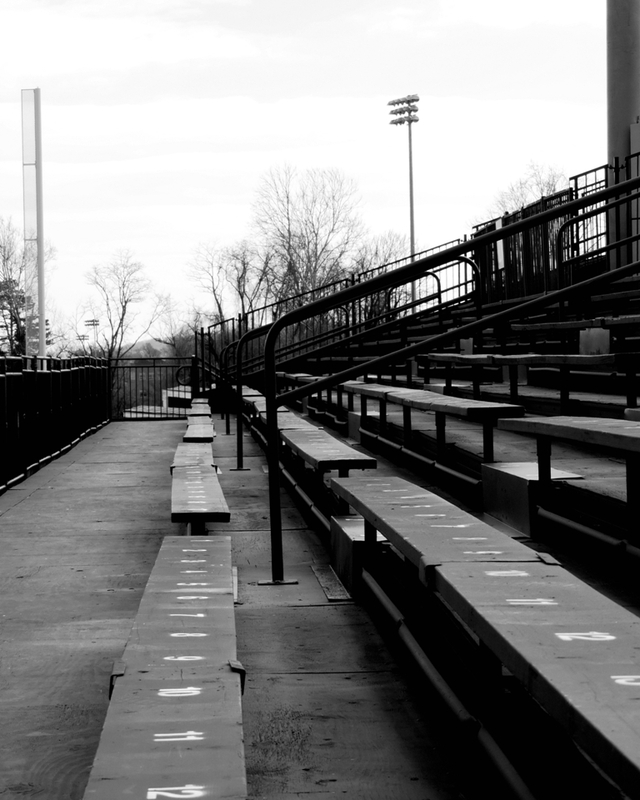 Those close-in seats are the ones that fans like us, with our bleacher tickets, dream about. Real seats with sturdy backs, not the long backless benches that line the rest of the park. When you’re in the blue seats you can put your bottle of water beside your feet and not worry that someone will accidentally kick it into the opening in the bleacher floor where it will disappear into the abyss. 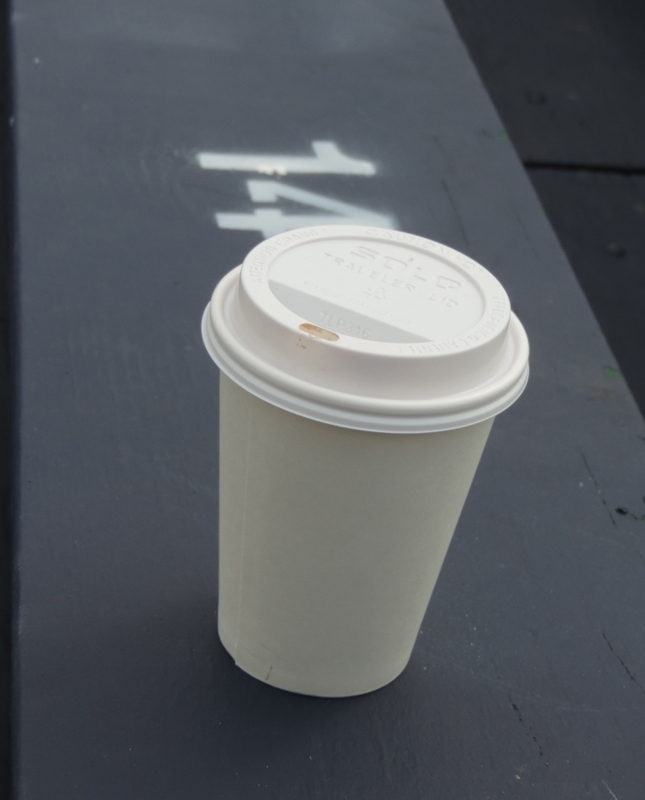 Free Hot Chocolate. Free Baseball. First, let’s get to the important things. The temperature during the last two games at Davenport Field, home of the University of Virginia Cavaliers (or, the NCAA National Champion UVA Cavaliers if you go for things like that) has been below 45. The NCAA champions are playing the Monmouth Hawks this weekend. I vaguely know where Monmouth is (somewhere New Jersey-ish). If you visit Monmouth’s Wikipedia page … which you can do here … it will kindly request that you fill in the blanks and tell it something – anything – about this team. I can tell you only that they seem to have a good time when they play – they’re a joyful bunch – and that goes a long way with me. UVA won on Friday night, 4-2, in unspectacular fashion. The highlight of the game was that it took my feet, which were double-socked, nearly one full hour to thaw out. They were completely numb. It was brutally cold – it had snowed that morning – and my main take-away from the game is that I’m certain I wouldn’t last a week in a world without central heat. Friday morning. 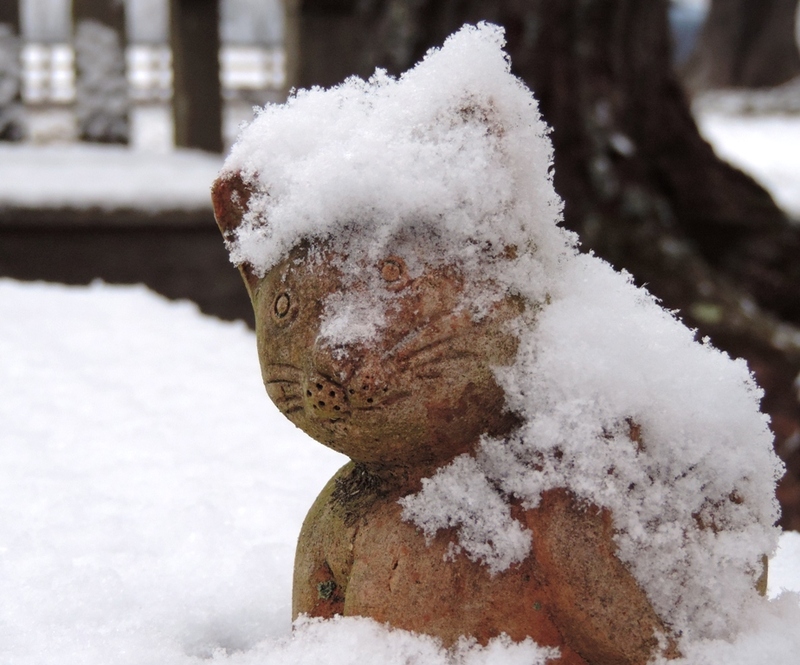 Snow on the cat. Let’s skip to Saturday. Still cold. 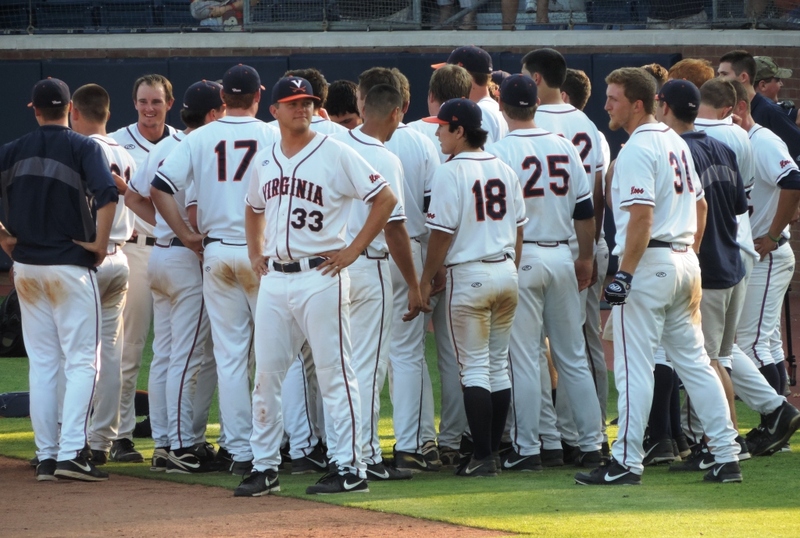 Behind string-beany, first-year pitcher Daniel Lynch, the Hoos jumped out to a 7-0 lead in the 2nd in one of those they-batted-around innings – six singles, one double, two sacrifice bunts – that messes up your scorecard in a totally-worth-it sort of way. They love to bunt, these fellas. The high temperature in Charlottesville, Virginia yesterday was 47.2 degrees. 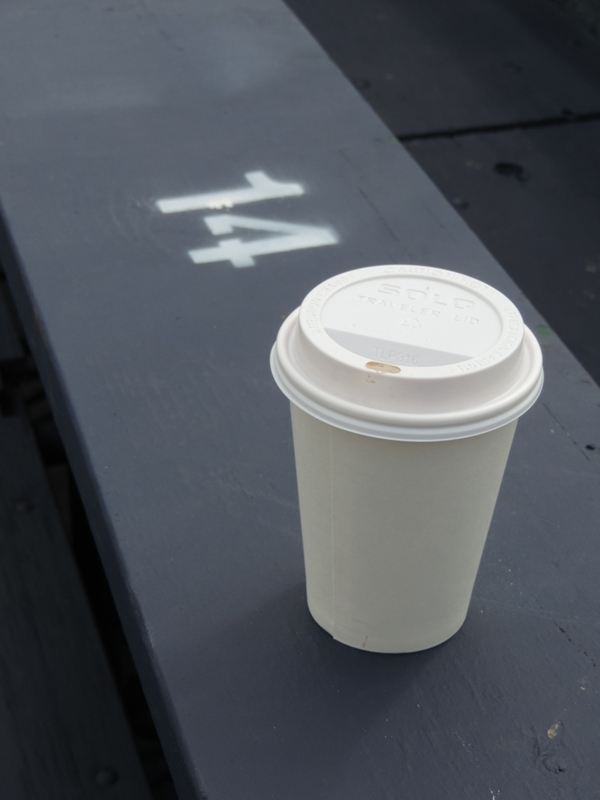 Just 2.2 degrees colder and there would have been “free hot chocolate for everyone” at Davenport Field where the University of Virginia Cavaliers — the Hoos — play ball and where the free hot chocolate flows at 45 degrees. There was no hot chocolate. There was no win for the Hoos. But, it was my first game of the spring. Even though it’s still winter. And, even though it’s still cold. The 2016 honor of “First Photo” goes to UVa utility infielder and backup catcher Justin Novak. Photo By, And Courtesy Of, Jesse Pritchard. Sunrise At Davenport. Charlottesville, Virginia. Congratulations, Baseball Fans … You’ve made it through another off-season. 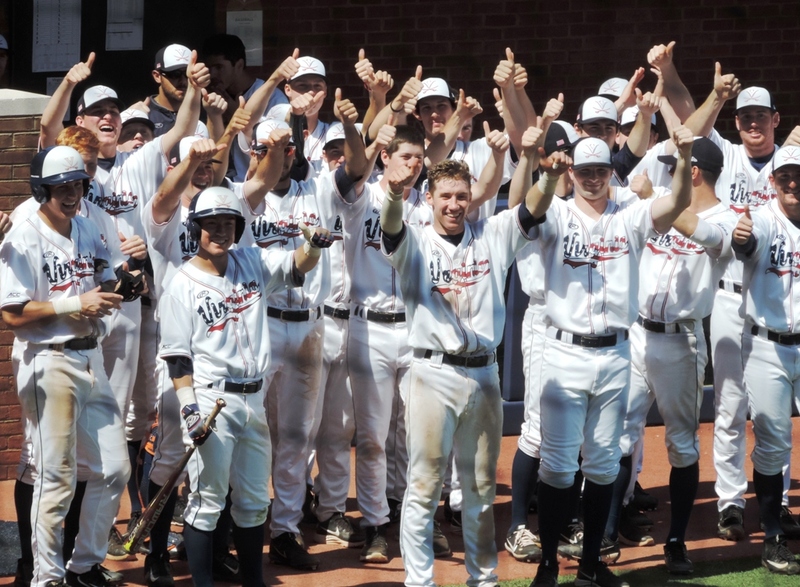 It’s Opening Day for the National Champion University of Virginia Cavaliers (wahoowa!) (I did mention “National Champion” didn’t I?). University of Virginia vs. Kent State from Pelicans Ballpark in Myrtle Beach, South Carolina. First Pitch is at 4:00 p.m.
It’s a beautiful day … let’s Play Ball! Listen to a great interview with Tyler on this week’s Wahoo Central Podcast here. Baseball Season is Here. ‘Bout Time. The University of Virginia Cavaliers, after a strange and disappointing regular season, have advanced to the NCAA College World Series. Improbably. Unexpectedly. Unbelievably. 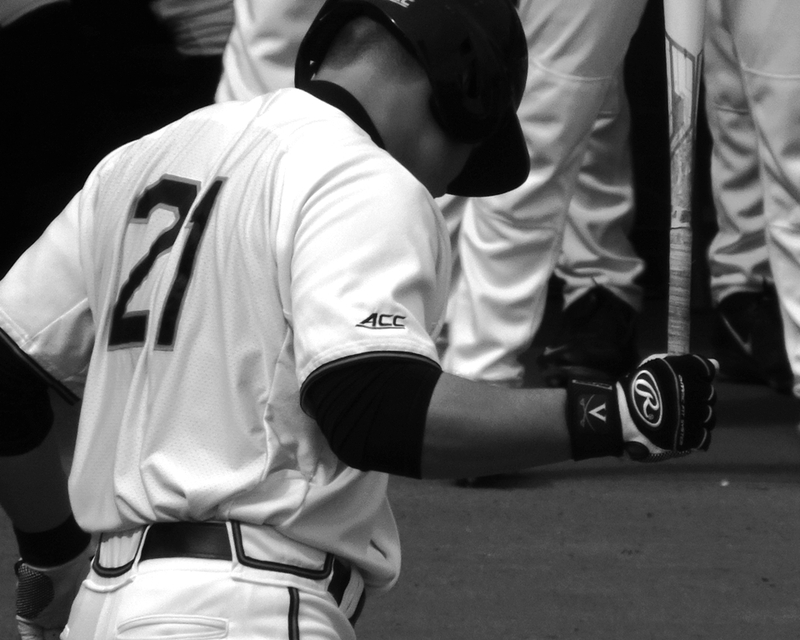 They swept the University of Maryland Terrapins in the Super Regionals with wins on Friday and Saturday. And, I wasn’t ready for the dog pile. 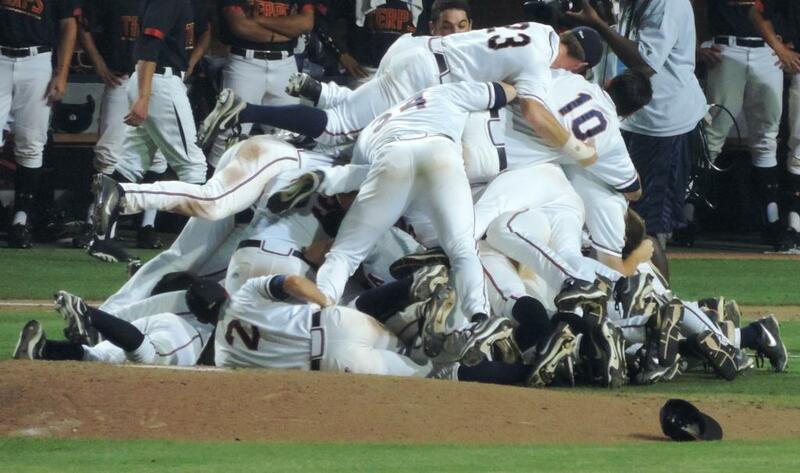 The UVa Cavaliers’ dog pile after defeating Maryland in the Super Regionals and advanced to the College World Series in 2014. This year, once again parked in Section H of left field with all the other displaced season-ticket holders, I wasn’t ready. You know that auto-focus “idiot button” on your camera? Not idiot proof. But, really, can you blame me? Maryland had just come off of a regional series where it knocked off UCLA, the number 1 team in the country. So, no slouch those Terps. 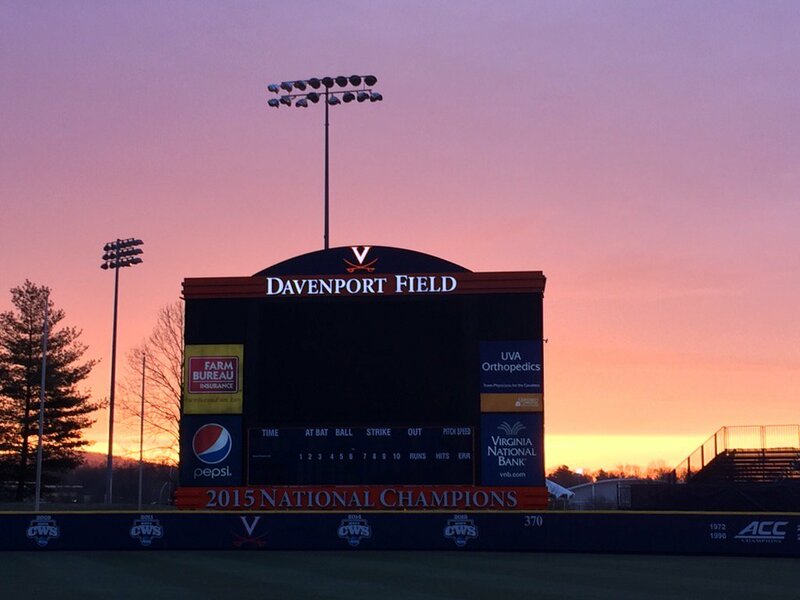 The Hoos took Game 1, beating Maryland on Friday night 5-3. But, on Saturday, Maryland took a comfy 4-2 lead into the 9th. All they had to do was breeze through the bottom of the 9th with the same ease they had breezed through every inning since the 1st. The Terps would tie up the series, leaving a deciding game on Sunday. It’s 4-3, no outs. But, to take my camera out at this point … to presume a miracle … is to jinx things. And, I’m no jinxer. The Hoo’s #9 batter, scrappy freshman Ernie Clement – 1-for-6 over the two games – steps up. Here’s the Game 1 Recap. Here’s the Game 2 Recap. 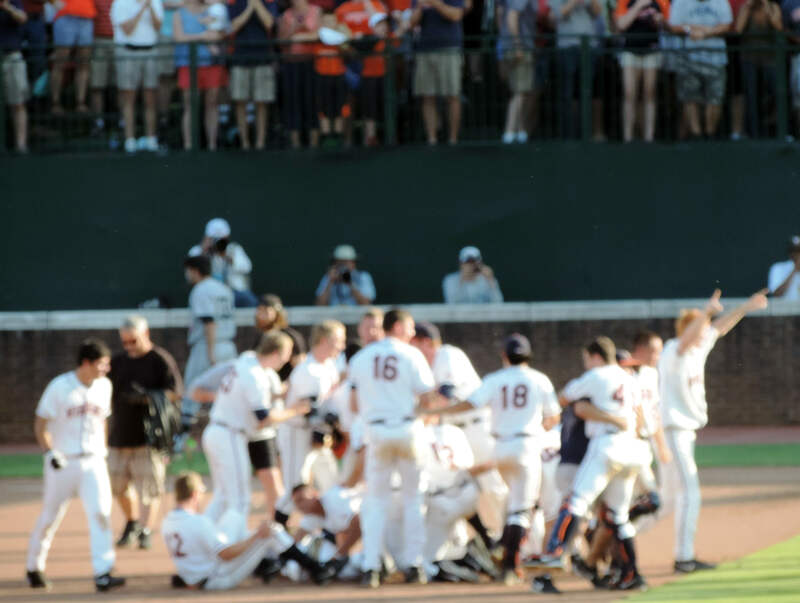 The University of Virginia advances to the College World Series. I finally got my camera out and focused. 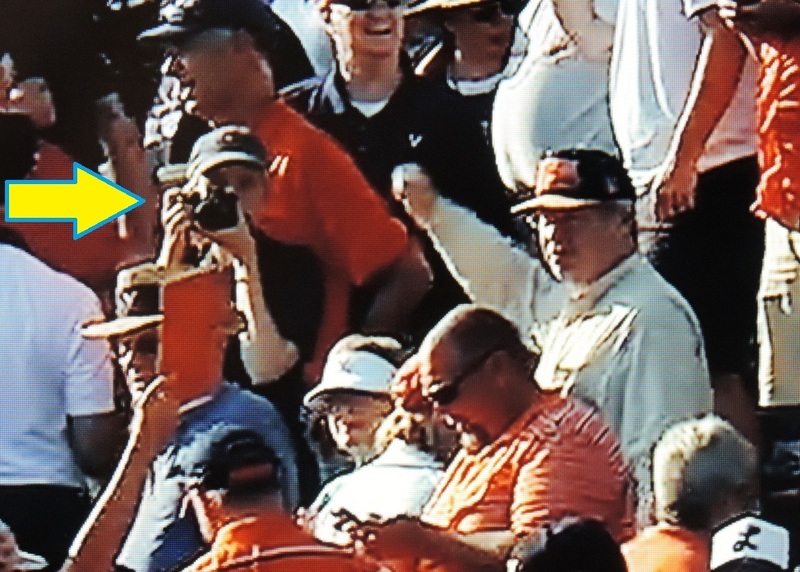 Look … I’m on ESPN! Is this how you take a selfie? Congratulations, University of Virginia Cavaliers. Hoo’s going back to Omaha? You are! Brandon Waddell, Game 2 starter, leads the post-game celebration. That’s pitcher Connor Jones, winner of Game 1, surveying the Davenport Field celebration. 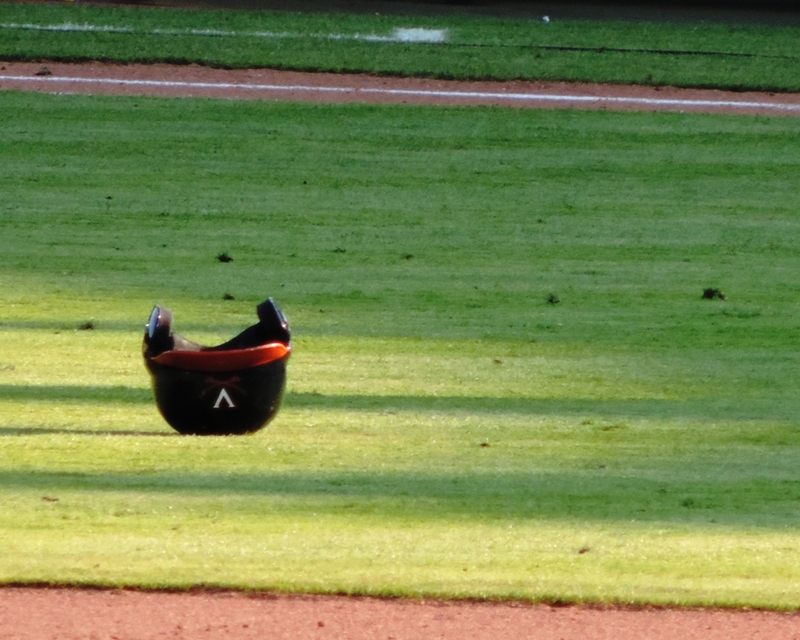 Ernie Clement’s batting helmet might still be out there. The College World Series begins Saturday, June 13, 2015. Because, the people who wish to speed up baseball – shaving off a few seconds here or there to make the game a few minutes speedier – are also, I think, the same people who gulp their food, chug their wine, push aside slow pokes on escalators, and angrily honk their horns at me on the highway when I’m just trying to get into the left lane because, you idiot, there is a left turn there that I need to slow down to get into because my house is over there, okay???!! 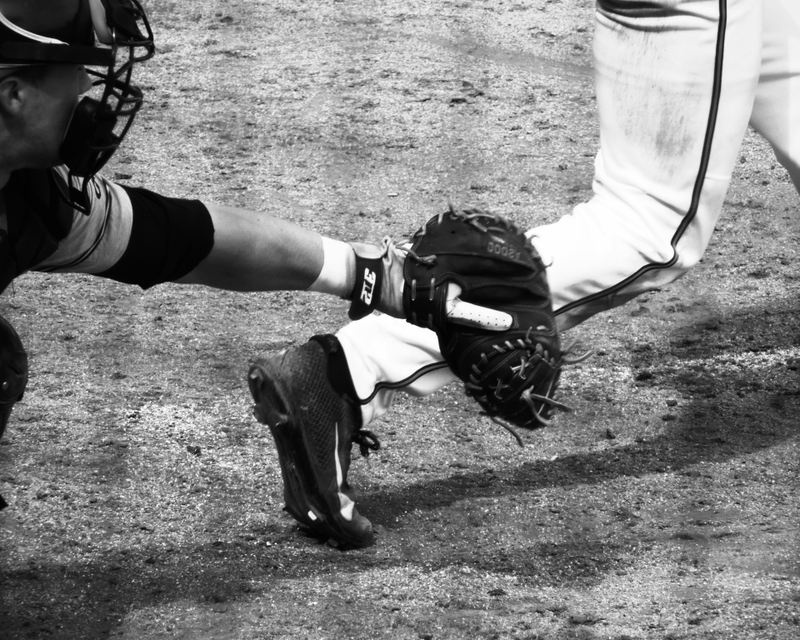 So, when I’m taking photos at a ballgame it’s not because I’m trying to catch the action – although there is plenty there, with home runs, and 100 mph pitches, and diving outfield catches, slides into home, and, be still my heart, those beautiful, beautiful around-the-horn double plays. I’m more about capturing the stillness. 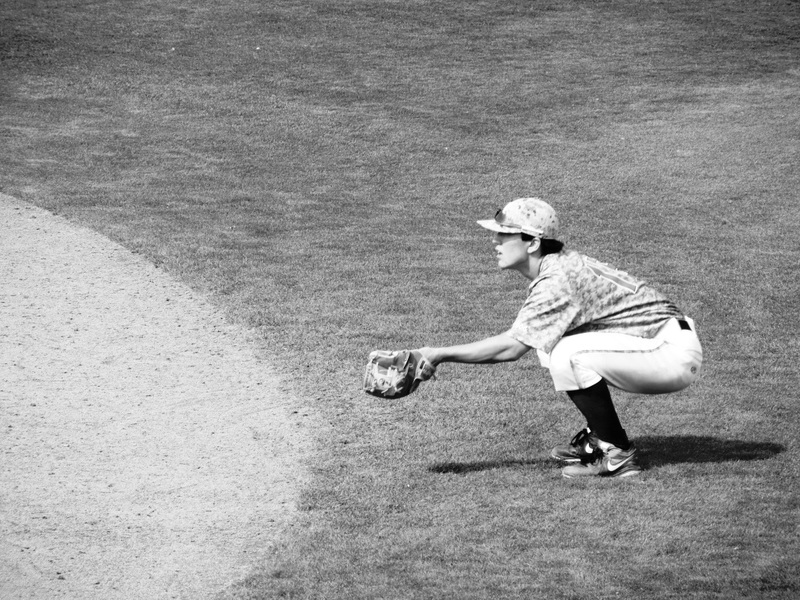 This photo is about stillness … and yet, I don’t think you need to know much about baseball to see the motion in it. All around America, there’s college baseball today. It’s a perfectly fine way to spend an Easter afternoon, if you ask me. We were at yesterday’s game. The University of Virginia took on Louisville in Charlottesville. It’s April but I was dressed for winter – long underwear, an extra sweater, gloves, and, most important, polartec socks. That I was surrounded by people in flip-flops only made me colder. Fun Fact: It is possible to score a ballgame, take photos, and check Twitter with gloves on. It’s not easy, but it is possible. Still, it’s warmer than Easter Sunday in North Dakota. 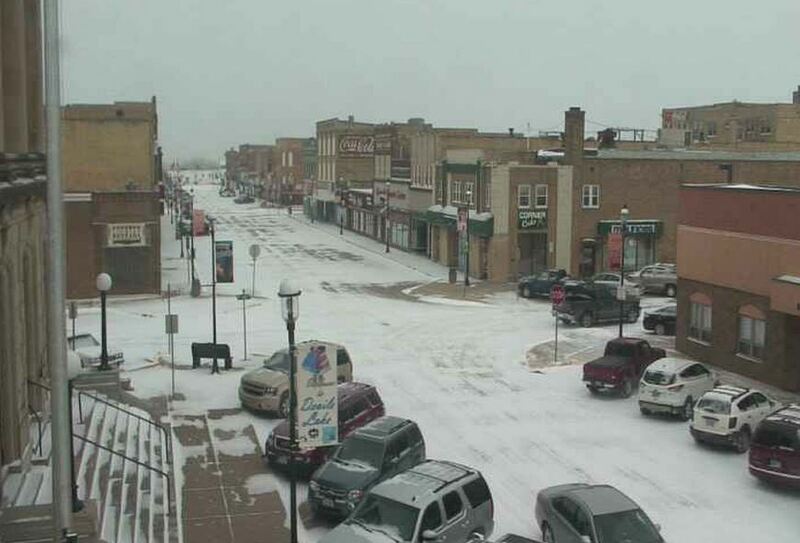 Here’s a photo from this morning’s Main Street Cam in Devils Lake, North Dakota, the town where I spent my high school years. Yup, as usual, one look at the Devils Lake Street Cam has warmed me up like a hot cup of coffee. Saturday was not a good day for the #9 UVa Cavaliers. 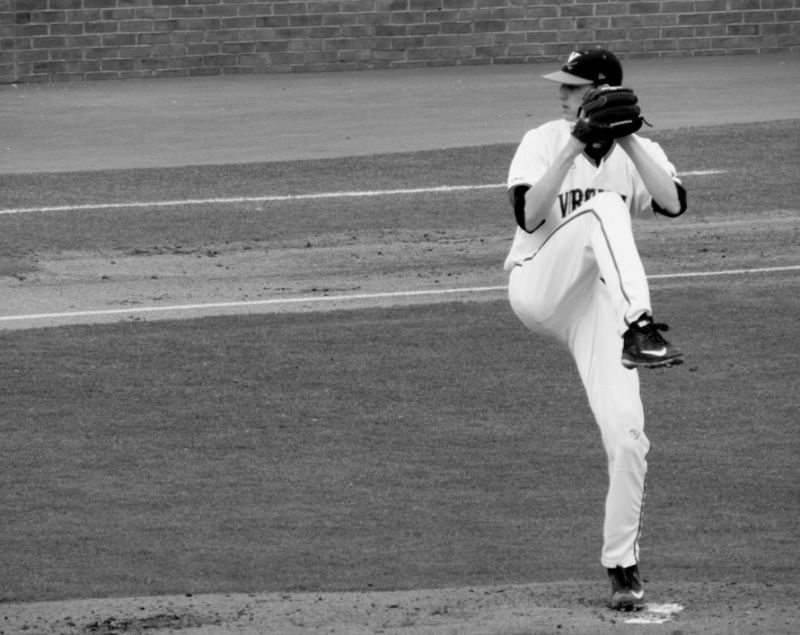 Grand-slamming, strong pitching #7 Louisville took game one from the Hoos 8-1. Today will be cold again. But, today will be better.